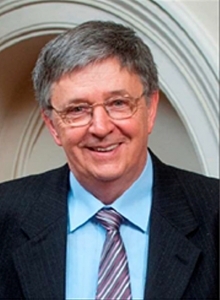 The Barcelona Hypatia European Science Prize in its first edition recognises Dr. László Lovász, mathematician and President of the Hungarian Academy of Sciences (2014‒present), for his outstanding career in the field of mathematics and for his contribution to social progress. This Prize was launched by the Barcelona City Council in collaboration with the Academia Europaea-Barcelona Knowledge Hub within the framework of the “Barcelona City of Science” programme, which seeks to project the city as a European capital of research and innovation. The main goal of the Prize is to spotlight science, as well as to promote, support and enhance the value of excellent research conducted in Europe and of its impact on society. The Prize features a monetary award of 30,000 euros, and the winner will deliver a Distinguished Lecture on his research career at the Saló de Cent (Barcelona City Council’s Main Hall) on February 5, 2019, in the presence of the Mayor of Barcelona, Ada Colau. 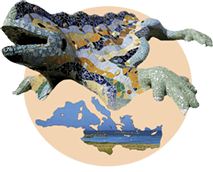 For this first edition, the five members comprising the Selection Jury were: Dr. Sierd Cloetingh, Jury President and also President of Academia Europaea; Dr. Ricard Guerrero, Jury Secretary; and Dr. Anna Omedes, Dr. María Josefa Yzuel, and Dr. Ignasi Casanova, Jury Members. Also in attendance, having a voice but not a vote, was Ms. Kimberly Katte, Manager of the Barcelona Knowledge Hub of the Academia Europaea. From the twenty-three candidates nominated for the first edition of the Prize, corresponding to the area of Science and Technology, Dr. Lovász was chosen by the Selection Jury in recognition of his outstanding career and research conducted at the highest international level, which has generated social impact in Hungary and abroad, putting mathematics as a scientific discipline to the service of society. Dr. Lovász, considered one of the best mathematicians alive, especially stands out in the fields of combinatorial optimisation, algorithms, complexity, graph theory and random walk (RW). His main contributions include the weak perfect graph conjecture, the Lovász local lemma, and the Lenstra–Lenstra–Lovász (LLL) lattice basis reduction algorithm. Dr. Lovász has received numerous awards and prizes, such as the Fulkerson, Grünwald, Pólya, Kyoto, John von Neumann, Gödel, Széchenyi, Knuth and Wolf prizes, and he has been appointed to more than a dozen academic and scientific societies, in the United States, Europe (Academia Europaea), Germany (Leopoldina), Holland and Sweden. As former President of the International Mathematical Union, he promoted collaborations with mathematicians and the public acceptance of mathematics as a scientific discipline to the service of society. As President of the Hungarian Academy of Sciences since 2014 and current President of the World Science Forum (WSF), Dr. Lovász has been a champion of scientific freedom, having made significant, lasting contributions toward dialogue between science and society throughout the world. The WSF organises biennial conferences, with the next one scheduled to take place in Budapest, November 20‒23, 2019. The Hypatia Prize is an example of Barcelona’s strong commitment to science and seeks to project the city as a European capital of research and innovation. The Prize aims to recognise an outstanding scientist or researcher who has conducted her/his career in Europe at the highest international level and has had a strong influence on different fields of knowledge and a positive impact on society. The call for candidates is aimed at scientists and researchers who have carried out their research in a European country, having achieved a career of excellence at the highest international level, a positive influence on society and social well-being, and impact on different fields of knowledge. Nominations must be made by Members of Academia Europaea. The name of the Prize honours Hypatia of Alexandria (344‒415), a woman scientist and philosopher who successfully bridged and disseminated all scholarly disciplines known during her time and who, for this same reason, was assassinated by the forces of ignorance and fanaticism. The Hypatia Prize constitutes one of the main features of the Barcelona Science Plan, a strategic initiative of Barcelona City Council to promote the science and research infrastructures of the city, involving joint efforts by the scientific, academic, business and community sectors.